We provide long-term care advocates with reliable research and policy insights to inform their local and state strategies. 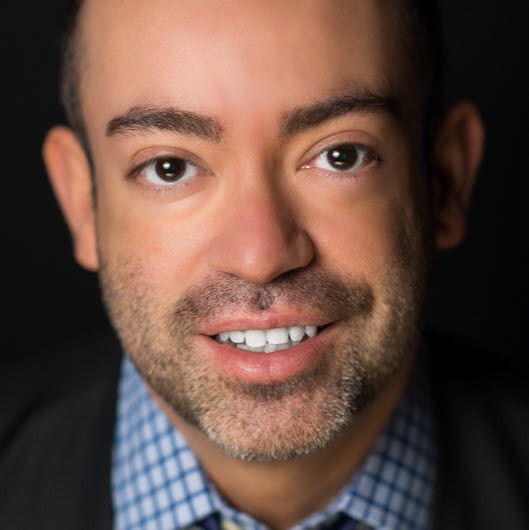 PHI’s research and policy analysis provide policymakers and providers with objective information to effectively lead initiatives that strengthen the direct care workforce. Our research examines facts and trends related to direct care workers, including their training, compensation, career advancement opportunities, health insurance coverage, and demographic profile. 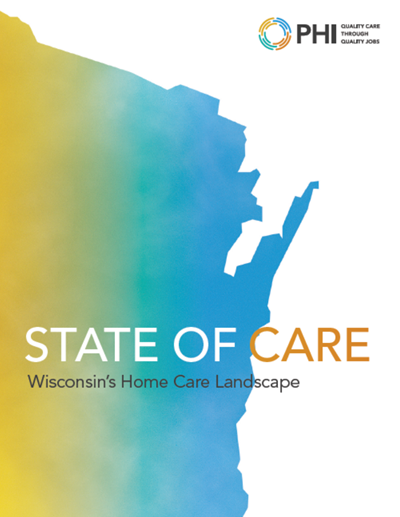 Our policy analysis highlights the policy barriers facing this workforce and the broader long-term care system, and informs our response to policy proposals at the local, state, and federal levels. 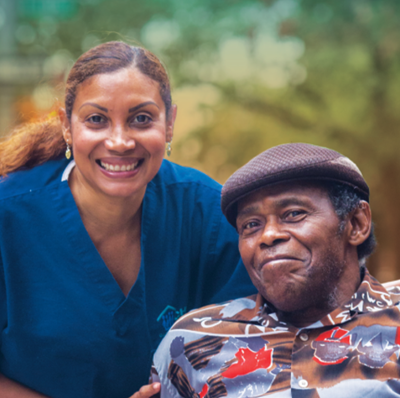 PHI has produced a range of studies and resources to support state and local leaders in improving the working conditions and quality of life of direct care workers, as well as the quality of care they provide to older adults and people with disabilities. 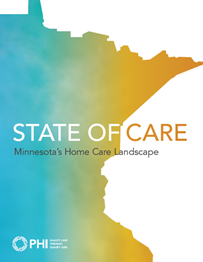 Our state landscape studies provide an in-depth review of a state’s home care system, drawing from original analyses of data on the direct care workforce; evidence compiled from published research and other materials; and interviews with provider organizations, city and state agencies, advocacy groups, and other stakeholders. Our city and state fact sheets provide a statistical snapshot of the direct care workforce, capturing the size and growth of the workforce over time, job growth and economic factors, key demographic indicators, and compensation trends. PHI consults with long-term care leaders on policy issues facing the workforce and care consumers. In particular, we help them deepen their understanding of the critical role of direct care workers in the long-term care system. 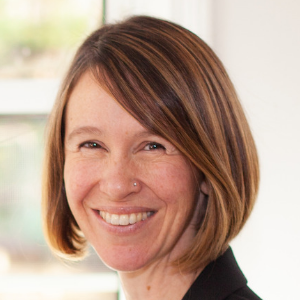 We inform policy proposals, assist advocates in responding to pending legislation or administrative opportunities , and advise on advocacy strategies for moving forward a policy reform agenda. PHI's research and policy analysis provide detailed snapshots of the direct care workforce. 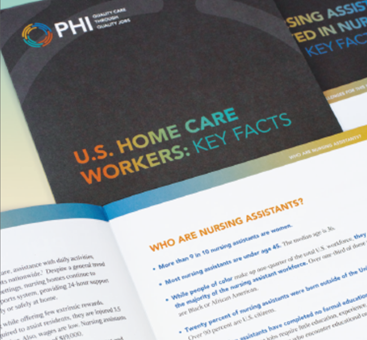 PHI produces national, state, and local landscape studies and fact sheets on direct care workers. Interested in policy reform for the direct care workforce? Contact PHI for a consultation and tailored data.